Search engine optimization (SEO) is what increases your chances of being found when customers in Zimbabwe or overseas search for a product or service like yours with Google, Bing, and other search engines. If a customer is using a search engine to find what they need and you don’t show up, you don’t exist! There are many ways to get the word out about your business: phonebook ads, flyers, radio commercials, paid online ads, and more. But all of those things cost money. On the other hand, if customers find your business while using a search engine it’s like free website traffic (also called organic traffic). Though you may spend some time optimizing your website, you’re not paying for each new lead like with pay-per click (PPC) advertising. SEO is important because it is the most cost-effective way to bring in new customers that your business. So why don’t more people do it? SEO takes time and patience to do it right. Most people just want fast results and aren’t willing to invest the time, but it never happens over night. On page SEO: Everything on the page. This includes everything like the words in the content you use to all the technical stuff (i.e. tho code) like the HTML tags that tell the search engines about your content. This is all within our control. Off page SEO: Everything off the page. This search engine optimization solution is primarily made of links to your website from other websites. This is not in our control, but we have some ability to influence it. On page search engine optimization is the most important aspect of SEO because it is completely within our control. This includes making sure your website uses all the right HTML tags and structured data to correctly markup your content, which is colloquially referred to as technical SEO due to the code related nature of it. Essentially, this markup tells search engines what your website is about, what the important things are, and how to interpret all of it. The more you help search engines understand what your website is about, the more qualified leads you’ll get from search engines (also called organic traffic). This search engine optimization solution is particularly important for local businesses. 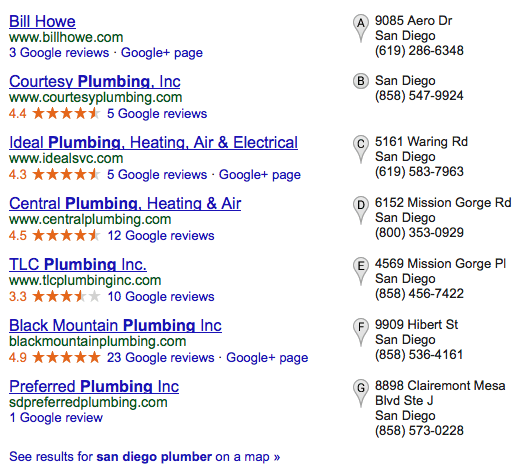 If you’re a plumber, customers won’t find you by typing ‘plumber’ into Google. But if you’re a plumber in Harare and customers type in ‘Harare plumber’ there’s a much better chance they’ll find you. This is called as local SEO. If you’re using the right advanced structured data, Google can even show your phone number and where your business is located to potential customers. Awesome right? That’s why on page SEO is so important. Getting on page SEO correct sounds hard, but with Icono Global, using the right content management system (CMS) like WordPress makes it a lot easier. if you would like your website optimized, get a WordPress website from Icono Global today. Two common types of structured data used for SEO are local markup and video thumbnails. 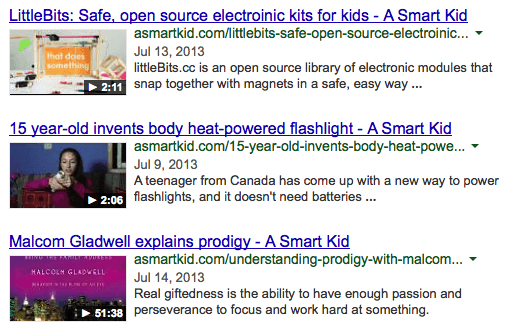 Below are two examples of structured data at work in Google search results. You can spend hours and hundreds of dollars writing the best website content, but it won’t matter much if your on page SEO is lacking. So invest the time and make sure your website has what it needs to get your business found. Contact Icono Global today for Search Engine Optimization done right. Off page SEO is primarily made up of links to your website from other websites. We hesitate to mention off page SEO because most people do it wrong. Heck, most SEO “experts” even do it wrong. Most SEO experts assume that more links are better, no matter where they come from. More links can actually hurt your website if they’re from low quality sources. Most link building services build links this way and it hurts businesses. Can you imagine paying for a service that hurts your business? You’d be surprised how many business get penalized by Google for poor link building practices. The best SEO experts do excellent work, but they’re also very expensive. The worst ones are often cheap and focus too much on getting more links instead of earning more links. You earn links by creating valuable content that others want to link to. The best links come from reputable sources that are relevant to your business. For example, if you’re a plumber, a link from a plumber’s association is better than a link from a website about sports. The link from the sports site isn’t inherently bad for your site (unless it’s a low quality website), it’s just not as good. That was a brief overview of our search engine optimization (SEO) for business websites in Zimbabwe. SEO can be a very complicated topic, but with Icono Global we will do everything for you. Contact us today for packages and pricing.